TAG Heuer is taking their Connected watch to the next level and is unleashing its true power. In Technicolour and 3D renderings you now have 39.000 golf courses worldwide on your wrist. This allows you to measure distance, keep score and have all the statistics about your game on your wrist. The Connected Gold Edition can even suggest what club to use for your next swing. Breitling was launching a lot of new watches this year and among them the Airline Editions of the Navitimer. These watches are dedicated to some of the most well-known airlines in aviation history. Currently, these include TWA, Pan Am and Swissair. The logos of these airlines are printed on the sapphire caseback, while the front has a vintage look to it, due to the use of color and specific hands. Grand Seiko presents us with the most refined Japanese craftsmanship with the new Spring Drive SBGZ001. The case of this watch is crafted from platinum and carved by hand to match the delicate ‘snowflake’ pattern on the dial. 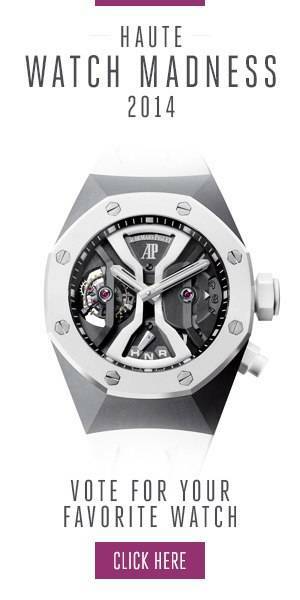 It is powered by a manual wind Spring Drive movement which has a power reserve of 84 hours. A sapphire caseback allows you to not only admire this exquisite caliber but also to check the power reserve indicator, which Grand Seiko placed there to keep the dial side as pure as possible. Chopard expanded their L.U.C Chrono One Flyback collection with two new models. One is crafted from stainless steel, while the other has a case made of Titalyt. As the name already indicates is this an alloy based on titanium which is light and hypoallergenic. Both watches are powered by Chopard’s L.U.C Calibre 03.03-L, which are made in their manufacture in Fleurier, and who’s fine finishing can be admired through the display back.